In modern democracies, people elect their representatives through the process of elections. Electoral success depends, along with other things, on high voter turnout. In other words, greater participation of people in elections means better results and the emergence of better political leaders. In developing countries of the world, normally, people are too occupied with winning their daily bread to bother about who gets into the corridors of power. Casting a ballot can mean waiting for hours in queues. In the face of stringent economic conditions, they consider it a waste of time to go and cast their votes. Whatever the reasons may be for low turnouts, it goes without saying that ballot is the means by which people can bring to power people who can deliver. On the days of elections, when polling centers are cramped with voters, media highlights the participation of famous electoral figures. It shows them casting their ballots amid the clicks and flashes of cameras of news reporters. Political leaders make claims of achieving sweeping success. Journalists make their own predictions about the possible outcome of these elections. Amid all this din and clamor, we forget to make elections accessible to Persons with Disabilities (PWDs). Inaccessible elections leave out PWDs and they are unable to express their views. This is what exactly happened in Pakistan in the general elections that were held on May 11, 2013. 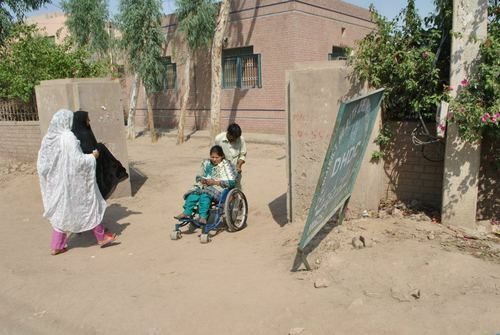 A news report by Sehrish Wasif of the Express Tribune (May 15, 2013) highlighted the problems PWDs had to face at polling stations. She said that the latter were not made accessible to persons with disabilities. They ‘lacked facilities such as wheelchairs, ramps and staff to assist persons with sight or hearing impairment’. This deprived them of ‘their legal right to vote due to which their turnout remained less than one per cent’. Despite this negligence on the part of the organizers of the elections, there were NGOs [nongovernmental organization] that employed their own resources to help PWDs cast their votes. I've talked to one of the NGOs that had tried to help PDWs in casting their votes. Society for Special Persons is an NGO that works for the welfare of persons with disabilities. It works for the political rights of the disabled. 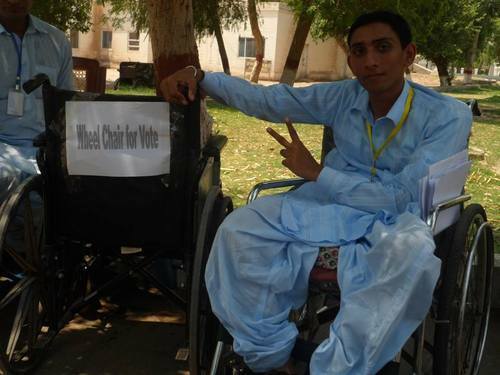 In May 2013, the organization tried to make special arrangements (Accessible Polling Stations) to ensure the active participation of persons with disabilities in Election 2013. The organization held meetings with foreign and national teams of observers. It organized a dialogue on the political rights of the disabled in which people from various walks of life participated and stressed that PWDs should be provided facilities during the elections. Representatives of political parties and the election commission also participated in the dialogue and assured that the recommendations of the dialogue will be considered in designing accessible elections. 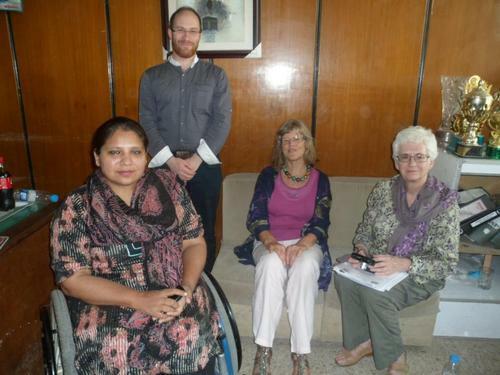 It met with observers from European Union and told them about their efforts for disabled-friendly elections. It sent its two teams to observe the elections. 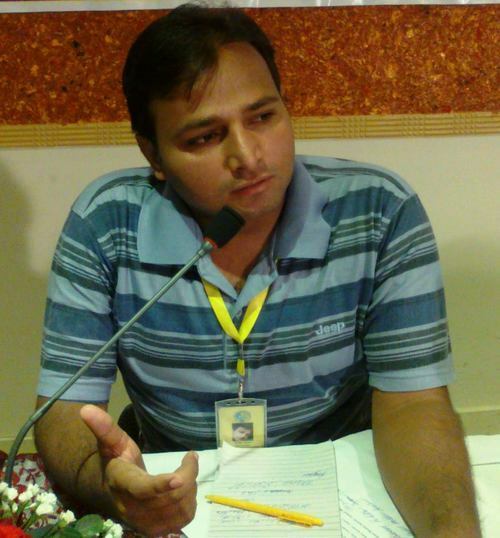 One team was headed by Nadir Khan, the Vice President of the NGO. 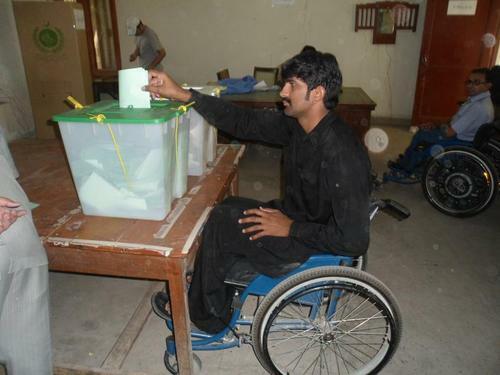 His worked from dawn to dusk and provided help to the disabled in getting access to the polling stations. The other team was headed by Zahida Hameed. She coordinated with media people in the coverage of participation of the disabled in the elections. The teams included people with hearing and sight impairment. The teams hired three vehicles on their own. They had four wheelchairs in the vehicles. They went to homes of various PWDs and brought them in their vehicles to polling stations. When they visited various polling centers, they came to know that the officials had no knowledge about the number of disabled people living in their constituency. There were no rams and no wheelchairs. Some polling stations had placed the ballot box on the first floor of the buildings, with no rams leading to it. Therefore, PWDs could not access the ballot boxes in such buildings. No guidance had been provided to the presiding officers of the polling stations about how to serve PWDs. They had no knowledge of how many disabled voters had been registered in their constituency. The volunteers realised that the election officials should develop data about the whereabouts of the PWDs so that volunteers can easily help them come to polling stations. They also realized the importance of setting up a communication centre where the problems of the disabled could be communicated. The volunteers of the NGO also talked to the election officials and requested them to improve election accessibility for the disabled. They've not only observed the provision of disabled-friendly facilities but they've also set up a model polling station where they provided rams and wheelchairs for PWDs. At this polling center, they've invited PWDs to do their part for the nation despite their disabilities. Thus, a good number of PWDs have turned up on the polling station to vote for their favourite candidates. 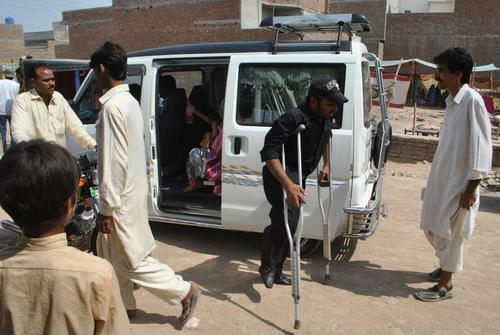 Kind-hearted volunteers have provided them with wheelchairs. With the help of rams, the persons with disabilities could smoothly wheel through the various procedures required for ballot. Anam, a disabled voter, said that she used to see her friends and members of her family cast their votes. But nobody ever asked her if she wanted to cast her vote. With the help of the NGO volunteers , she was able to cast her vote for the first time in life. 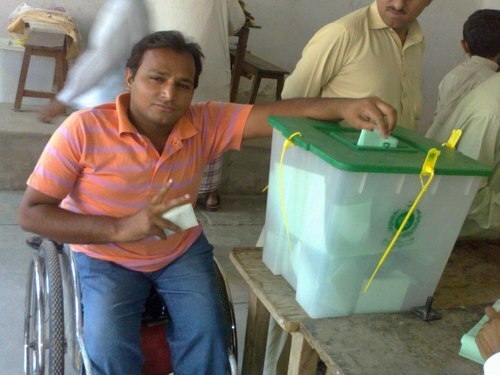 Zahida Hameed said, 'At the model polling station for the disabled, there came people that had never cast their votes in life. This is an important day in the history of the country because today the disabled have not only cast their votes for the first time in life but have helped other PWDs in casting their votes at the model polling station. She stressed that the disabled should have their representatives in the parliament of the country because the disabled are also part of the society. The NGO officials stress that the disabled can influence the formation of government in the country through their votes. The election officials should develop data about the disabled. The election commission should provide resources to the volunteers and training to its staff on how to handle the disabled when they come out to vote. This model polling station was the first 'drop of rain'. They hope that election officials will set up similar polling stations for PWDs across the country in future. The NGO representatives assert that PWDs are actually 'uniquely abled' people. But, most of us fail to see how this is so. 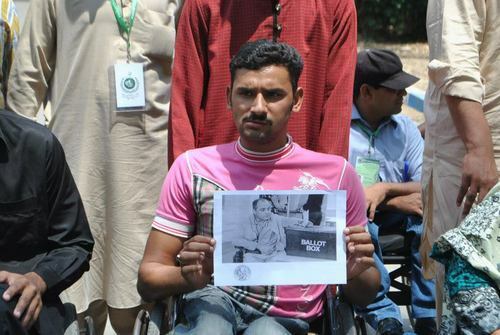 Although some parts of their bodies are paralysed, it does not mean that they are not sensible enough to cast their votes. These people do go through difficulties. They have their opinions that should be brought forth. If they have no say in the political process of the country, their suffering is likely to be multiplied. 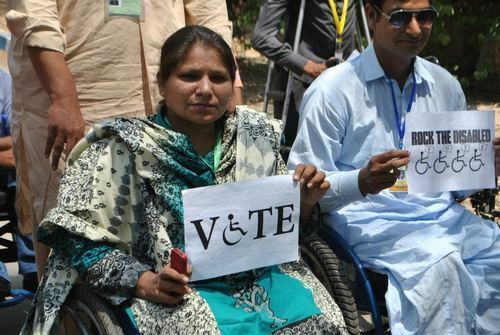 They have a right to ease of voting and we should try, in countries where this issue is present or prevalent, to improve the voting experience for the disabled. The same officials maintain that elections can be made more accessible with new Web technologies, through the use of which, disabled individuals could vote from the comfort of their homes.